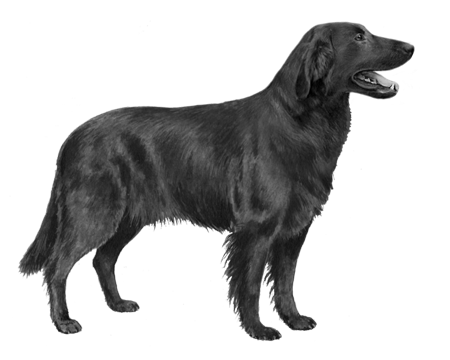 Originally created as a working dog that could fetch shot birds that fell into water. May be reserved around strangers. Quite food motivated, which makes it easier to teach the dog to relinquish retrieved or guarded items not intended for play. Enjoy participating in dog sports such as flyball, Frisbee, hunt and field trials, agility, tracking, and both rally and competitive obedience. 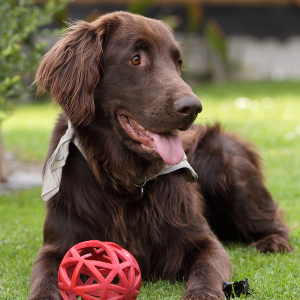 The original breeds involved in creating these outgoing, friendly dogs are thought to be imported Newfoundland Wavy-Coated Retriever dogs crossed with Setters. Whatever the exact mix, a breeder called J. 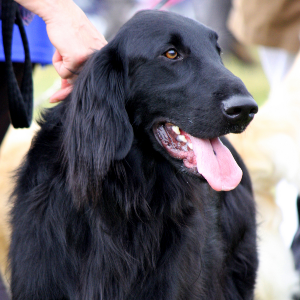 Hull is the man to thank for giving us the Flat-Coated Retriever. 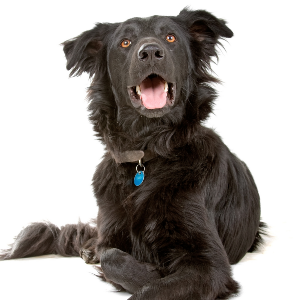 It was he who bred them in the 1860s, hoping to create a working dog that could fetch shot birds that fell into water. As with a lot of things in life, things didn’t go exactly as plan. 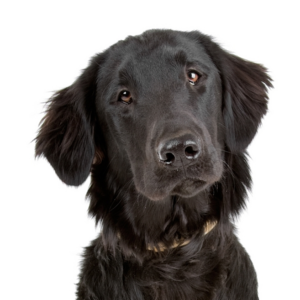 What he ended up with was even better – a dog that proved to be a natural retriever both in and out of the water. 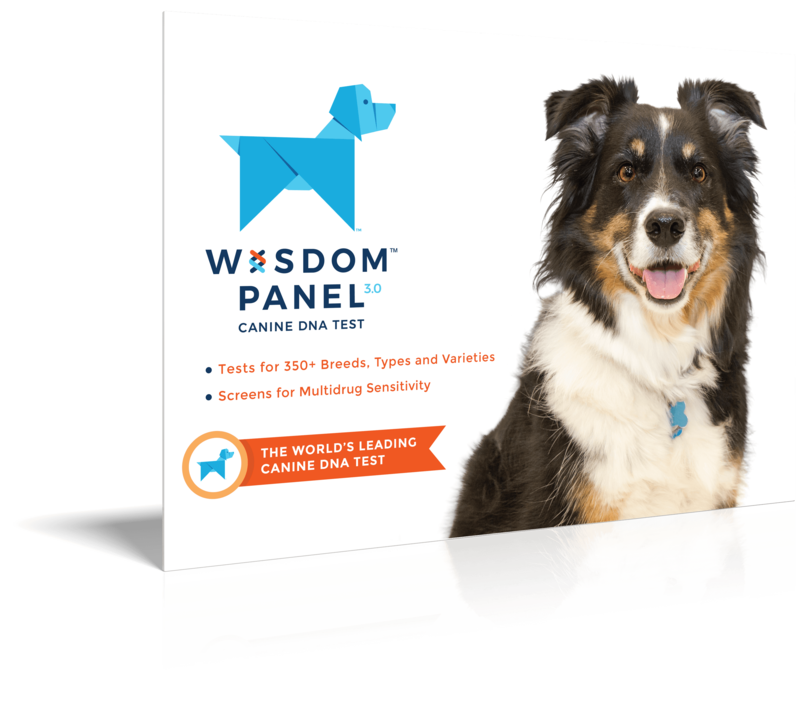 Though their numbers dipped temporarily after World War II, they continue to make a big splash with dog lovers on both side of the pond.